360° cricket is the order of the day and if a cricketer does not have shots all around the wicket, he just isn't deemed good enough in the books of modern cricket fans. Cricket started turning freakish long back, with cheeky shots that elude the keeper or that short fine leg becoming common place. A shrewd look might show up a rather forgotten name and face in cricket – Douglas Marillier. His ramp shot in the 2002 game against India, where he played a match-winning unbeaten 56, became so famous that cheeky shots soon became quite a regular sight at games. While there are quite a lot of proper shots behind the wicket that fetch you runs, scoring shots behind the wicket have become so common that for someone like AB de Villiers or Jos Buttler, you would not be surprised to see a wagon wheel showing more runs scored behind the wicket than in front. Such has been the progress cricket has made in terms of near illegal ways to score runs that the most popular format of the game, T20, is an exhibition of these shots. Let us take a walk through some of those unorthodox scoring shots, behind the wicket, ignoring the normal dab to third man or a flick past fine leg. The Ramp Shot or the Marillier Shot became pretty famous in the early 2000s. In this shot, the bat is used as a ramp to flick the ball past the shoulders of the batsman. Though a risky proposition, the shot usually pays rich dividends when executed perfectly as fielders behind the wicket are not commonly very fine. 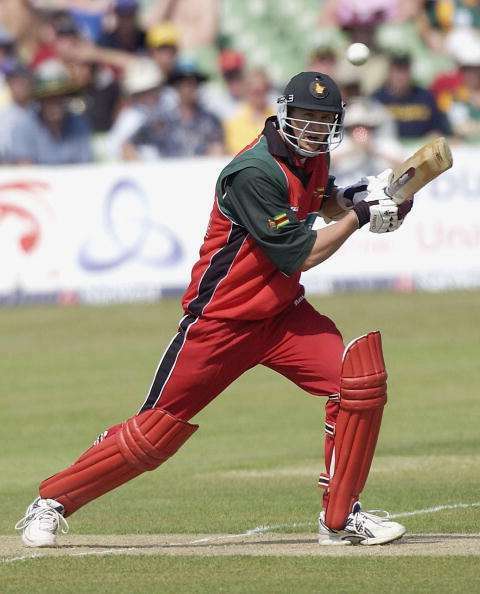 Douglas Marillier, the Zimbabwean all-rounder, was a pioneer of this shot and introduced it to devastating effect against India in 2002 where he constantly used the shot against the likes of Zaheer Khan in an unbeaten knock of 56 that won the game for his team. It was not the first time this man had the guts to play that shot. In a triangular series involving Australia, West Indies and Zimbabwe, Marillier used the shot against McGrath in the final over where 15 was required. The first and the third balls were ramped over his shoulder for boundaries but he failed to deliver the knockout punch and Zimbabwe fell short by 2 runs. But the dare almost paid off and he was set to initiate a revolutionary change in the dynamics of cricket. Marillier was not the only person to play the ramp shot, though he was the first. Brendon McCullum, Robin Uthappa, and Tillakaratne Dilshan also frequently used the shot to disturb the rhythm of the bowler.